The WXR Fund invests in early stage companies with significant female leadership that are creating solutions for the next wave of computing. Serial entrepreneur with successful exit, Martina is current Venture Partner at Jump Canon, a San Francisco fund focused on underrepresented founders in emerging tech. 5+ years Board President of Women in Tech (Seattle), board member of Seattle Angel, and advisor to the Center for Leadership and Strategic Thinking at the University of Washington. Featured in Forbes and Time. Early-stage angel investor with 15+ years in corporate venture, M&A, artificial intelligence, and engineering. After helping grow content delivery network and cloud computing startup to publicly traded company (Akamai), Amy turned her experience in investing, content delivery, cybersecurity, media, and ad tech to the spatial computing industry. Bringing almost two decades of technical and financial leadership to the WXR team, Amy directs diligence for the fund and runs point on the artificial intelligence sector. Coming from neurobiology and cancer research, Abby recently drove augmented reality enterprise adoption for 3+ years at Daqri (across sectors including aerospace, AEC, manufacturing, automotive, oil & gas, media & entertainment, etc). Advanced adoption of new media tech across gaming and entertainment verticals for Spredfast, has lead several startups to successful capital procurement including Entrypoint, and advised Mucker Capital on VR/AR strategy. With a history in business and marketing, Malia is a Founding Partner at VRScout, one of the world’s leading immersive media companies— reaching 15M to 20M people internationally every month. 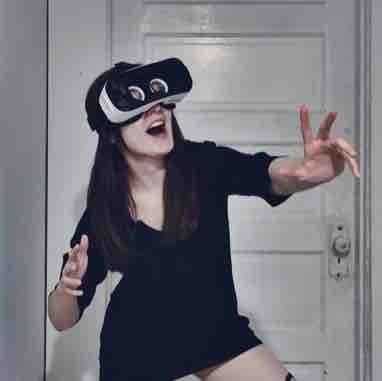 Malia is host of 2 of the top VR/AR podcasts, garnering 300K+ downloads. Named in Top 20 Most Influential People in the VR/AR industry, Top 20 Women in VR in LA, and Top 100 Digital Influencers globally. She often gets advance access to stealth products and companies, along with frequent opportunities to see deals first. Eva has been working in VR for 2 years as a design researcher and community builder with a focus on bringing diverse voices into the industry. She is now studying psychology and sociology in regards to XR so we can more ethically design for emerging tech. Eva is most drawn to XR because no one knows what they're doing, and that means there's a lot of room for experimentation and creativity. Alannah is committed to fostering opportunities for underrepresented founders. She has dedicated much of her life to understanding the underlying workings of inequality locally as well as internationally. Alannah graduated from Pitzer College after studying Organizational Studies and Economics. After working for VRScout, one of the world’s leading immersive media companies, her travels took her to places around the globe including Malawi, Ecuador, Peru, and Brazil (with 360 camera in hand!). Currently she is a digital marketer and event coordinator for a wealth management firm. Andy is a consultant in social media strategy, a visual media creator, and independent journalist. Digital nomad. Collects hashtags on a daily basis. Supports entrepreneurs in their quests for social impact as digital literacy instructor in Montréal, Québec. With extensive experience in executive roles with leading technology companies and in global investments, Marco is currently General Partner at the Venture Reality Fund. He was a Managing Director of Evolution Media Partners and led its investment in JauntVR. He actively advises various media and technology companies in VR/AR sectors. Earlier, Mr. DeMiroz was President and CEO of PlayFirst, Inc. and sold PlayFirst to Glu Mobile (NASDAQ: GLUU). Amanda's background is in business and investment banking, and she is currenty a venture investor at Norwest Venture Partners, a global multi-stage fund with $5B AUM (firm investments include LendingClub, FireEye, Jet.com, Rackspace, Brocade, RetailMeNot, Apigee, Adaptive Insights, BlueJeans, Modsy, Opendoor, MobileIron, Elemental, Kayak, PeopleSoft, and Spotify).